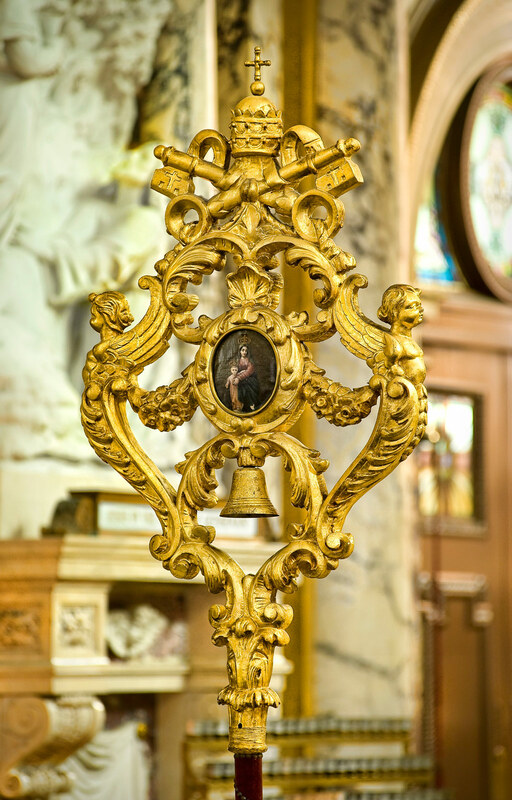 Three very special symbols are found within the Basilica's interior. At opposite ends of the front row of pews stand two items of Papal significance. Both can only be found within churches which have the title of Basilica, which means "House of the King." The tintinnabulum is a small gold bell surrounded by a golden frame crowned with the Papal tiara and keys. 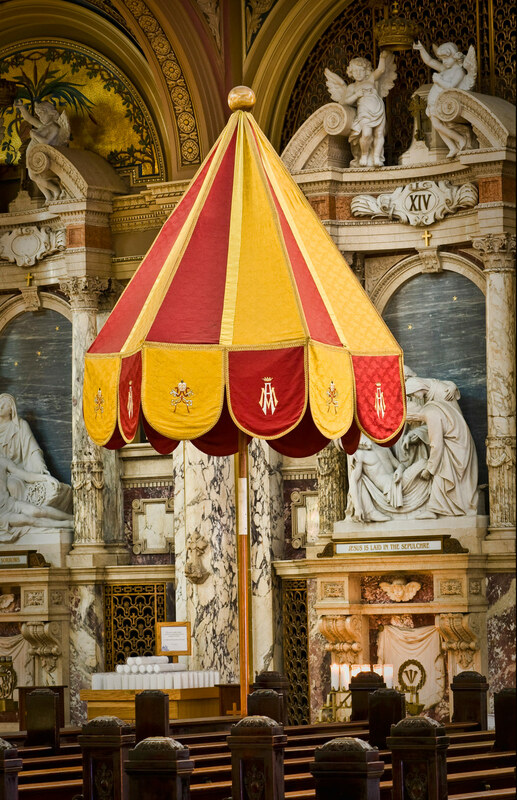 If the Pope were to say Mass within the Basilica, the tintinnabulum would be used to lead the procession down the center aisle. The canopeum is a symbolic shield of protection for the Pope during his travels. The canopeum remains open anticipating the Pope's arrival. Those two items, along with the Papal Coat of Arms, hanging just above the Basilica's main entrance, signify the shrine's sacred place within the Catholic Church, and its relationship to the Holy Father. 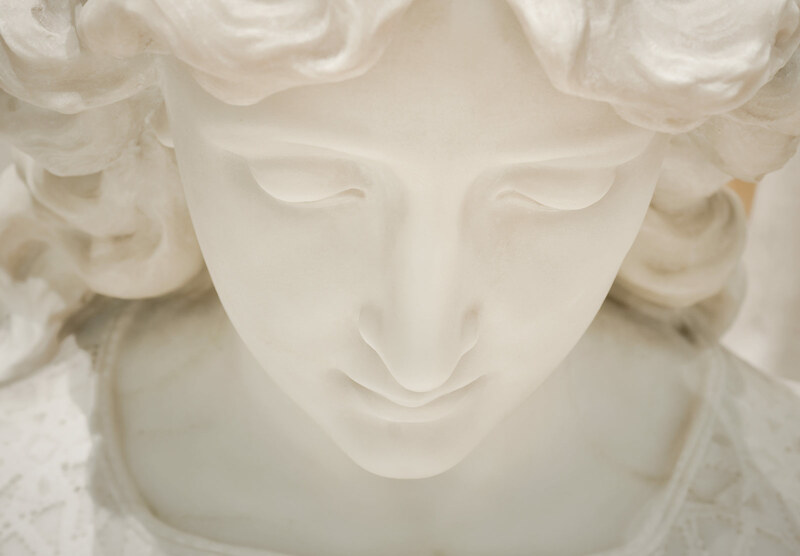 "There are a thousand angels in the Basilica," Father Baker once said. According to estimates, the actual number ranges anywhere from 1,500 to 2,500. The plan was to place an angel in every possible sight line. 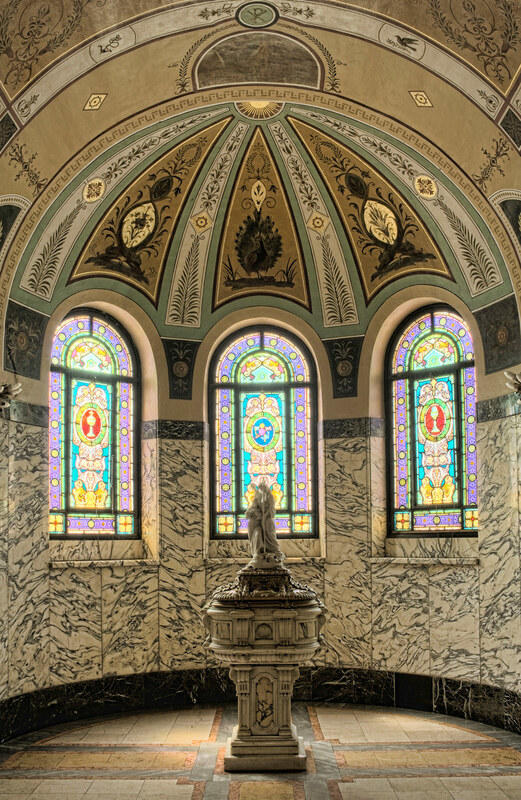 The Baptistry, located near the west entrance to the Nave, close to the St. Joseph altar, features a marble baptismal font sculpted to depict Jesus' own baptism by St. John the Baptist. Painted and embellished floor to ceiling with biblical imagery of water and baptism, this beautiful and often-overlooked corner of the Basilica serves as a precious reminder of the first sacrament for all who visit it. The choir loft in the rear of the Basilica houses a magnificent, specially-designed 54-rank pipe organ. Built by the Delaware Pipe Organ Co. and installed in 1981, the organ has three mahogany pipe towers, each in an eight-foot semicircle, representing the Holy Trinity. There are 51 pipes in the three towers with the balance of pipes located behind the towers. Pipework is of metal and wood and ranges in length from six inches to 18 feet! The newer instrument replaced the original custom-made Wurlitzer organ, which had deteriorated beyond repair. Encircling the shrine, between the lower church and the clerestory windows are Latin phrases from the Litany of Our Lady of Loreto. To view the complete litany please click here.